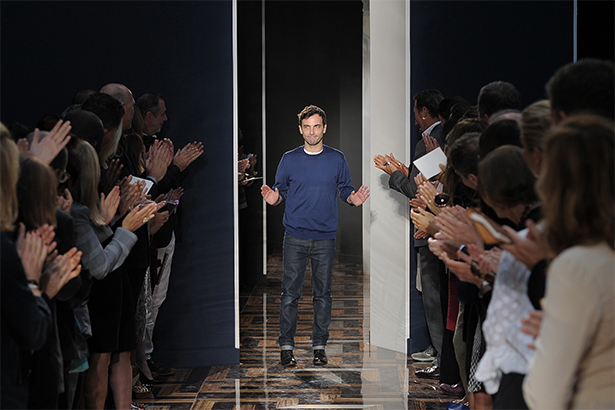 Nicolas Ghesquière has been at Louis Vuitton for about a year, and has garnered plenty of praise for his work so far. For Fall 2014, the designer tapped three photographers to shoot his debut campaign for the label: Juergen Teller, Annie Leibovitz and Bruce Weber. Three photographers with three different styles and points of view. Yet somehow, the designer was able to cobble together a cohesive campaign. But as he tells WWD, he tapped the trio of shutterbugs to lens the advertisements not because he couldn’t decide who he wanted to use, but because he wanted to show that the Louis Vuitton brand can reflect the diversity and multi-faceted nature of women.